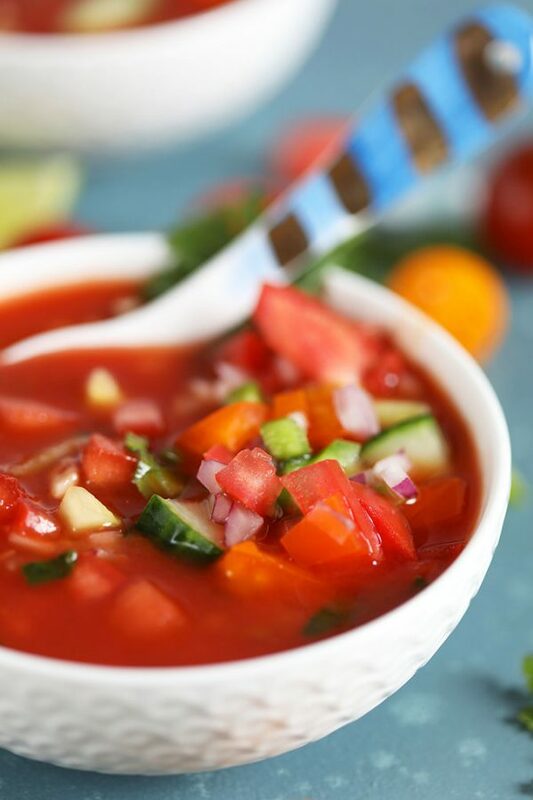 When the summer heats up, cool off with this refreshingly Easy Gazpacho recipe! 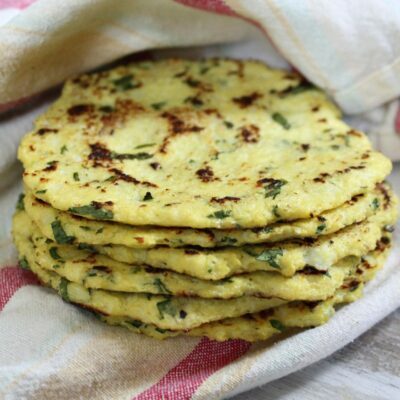 So simple to make with fresh ingredients, you can have this one ready to go in a flash. 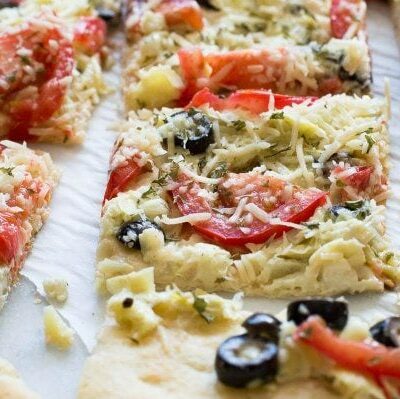 A great make ahead dinner for busy weeknights, this actually tastes better the next day. 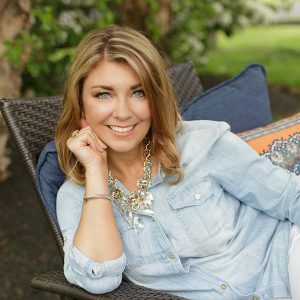 We finally have summer weather here on the east coast, but I think we just totally skipped over spring. We went from one chilly day in the 50’s to a scorcher of a day in the 90’s within 48 hours. It’s actually kind of baffling but it did get me to start eating a little healthier because who wants to slave over a steaming pot of braised short ribs when the air outside actually feels like you climbed into a steaming pot of braised short ribs? 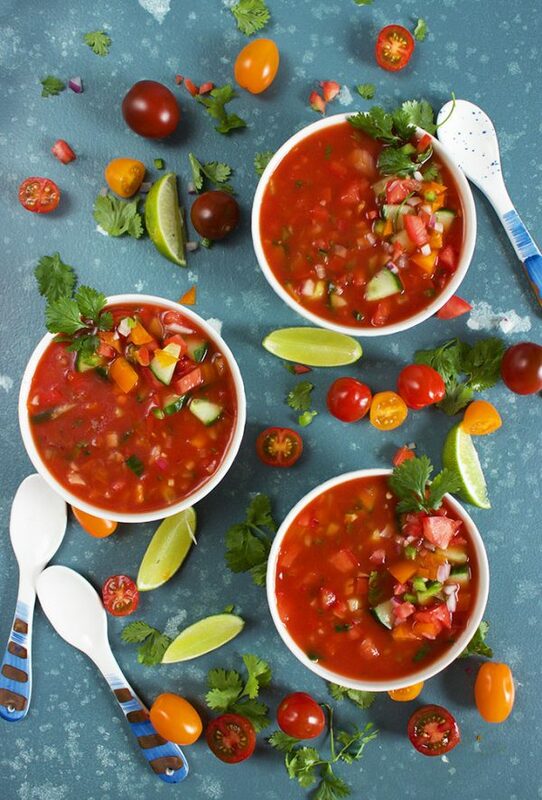 It’s time to turn off the stove and whip up things like this Easy Gazpacho Recipe. It’s fast, it’s fresh, and it’s totally flavorful. I’ve been making tomato gazpacho for years now. It’s always my solution to a no cook dinner on busy weeknights. 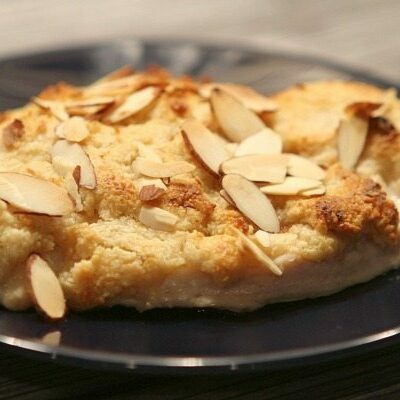 And it’s the perfect recipe to make when you don’t want to turn on the oven in the middle of summer. 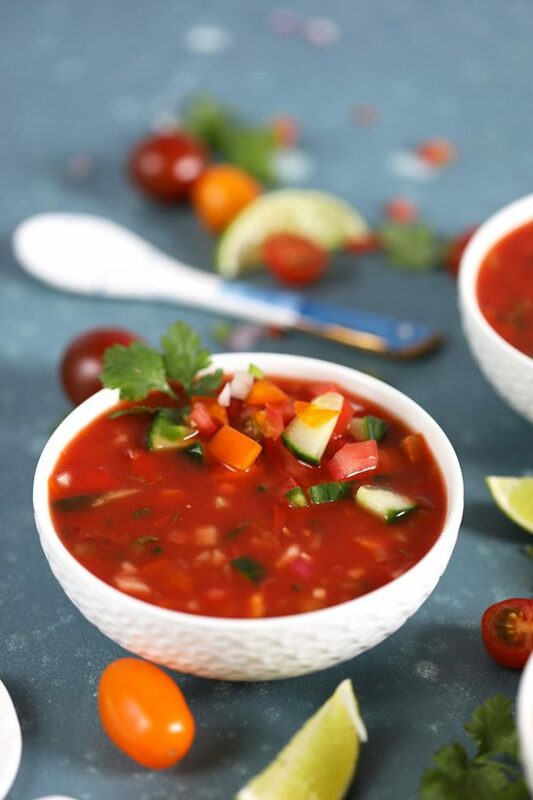 Gazpacho is simply a chilled tomato soup. I’ve had both chunky varieties like this one and smooth….like a restaurant style salsa. What I love the most about every gazpacho recipe I’ve ever tried is that you can literally throw in just about any chopped vegetable you love. I try to find whatever is in season at the moment for maximum flavor. For this Easy Gazpacho recipe I used bell pepper, cucumbers, plum tomatoes, garlic and jalapeño- for a little kick. If you stick with in-season produce, you’ll end up with the best gazpacho recipe you’ve ever made. The summer fresh flavors will be at their peak. I have a little secret to pump up the flavor a bit more. I add a splash of Worcestershire sauce to add a little more oomph to the soup. It just adds a good bang of flavor to this vegetable- based soup. 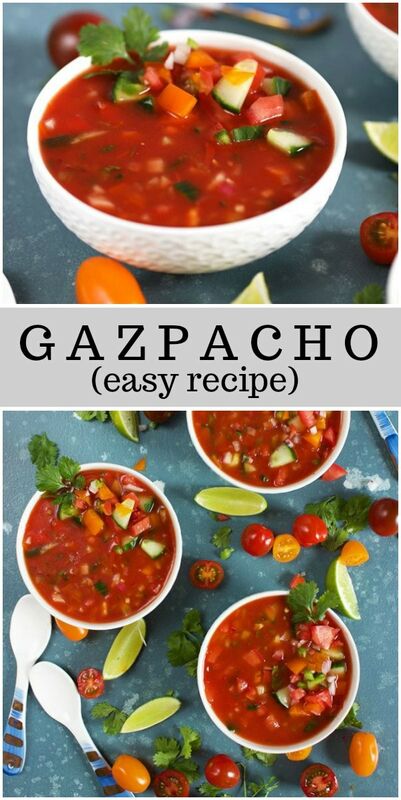 This Gazpacho recipe is so simple to make. 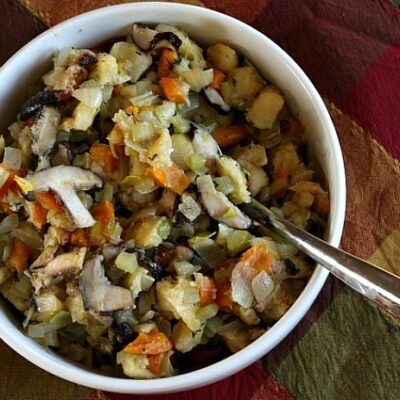 Chop up all the vegetables into a fine dice and toss them into a bowl. Squeeze fresh lime juice over the vegetables and add a splash of apple cider vinegar. Toss everything together and stir in tomato juice. To keep sodium levels in check (because who wants to be bloated on a hot and humid day? Not THIS girl), I like to use a low sodium tomato juice. If you can’t find it, then regular tomato juice is just fine but add a little less Worcestershire sauce or skip the salt. Even better, if you want to be a total overachiever: make your own tomato juice! 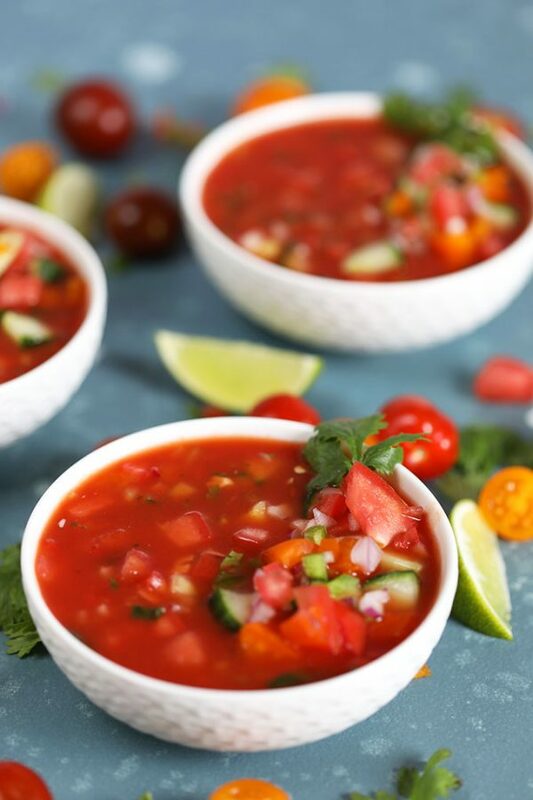 Easy Gazpacho is great for weeknight dinners, but it’s also AMAZING for summer parties! 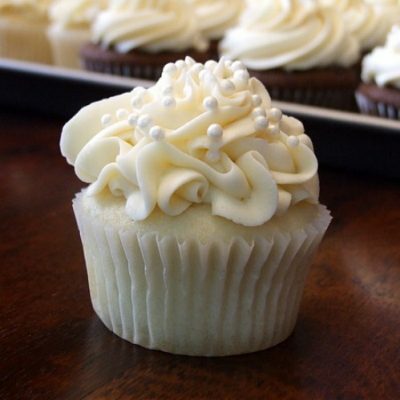 I serve it to my guests in little shot glasses so they can each just serve themselves. 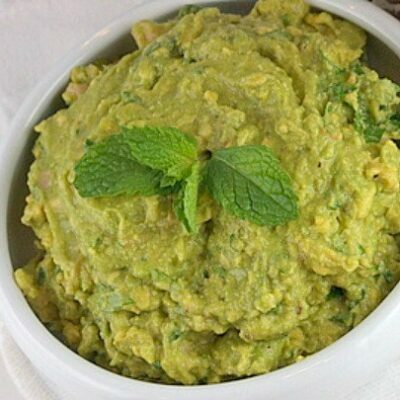 It’s such a refreshing first course or appetizer for your next gathering. 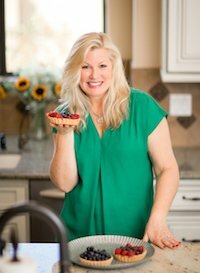 If you’re looking for a few more no cook summer recipes, you might enjoy Mediterranean Chickpea Salad or Watermelon Gazpacho. Watermelon, Feta and Arugula Salad and Cauliflower Rice Tabbouleh Salad are also great choices. 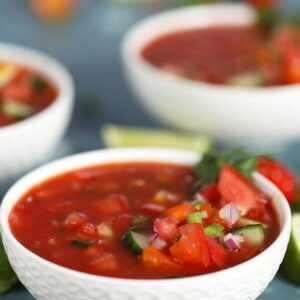 A no cook chilled tomato soup, this Easy Gazpacho recipe is like summer in a bowl. 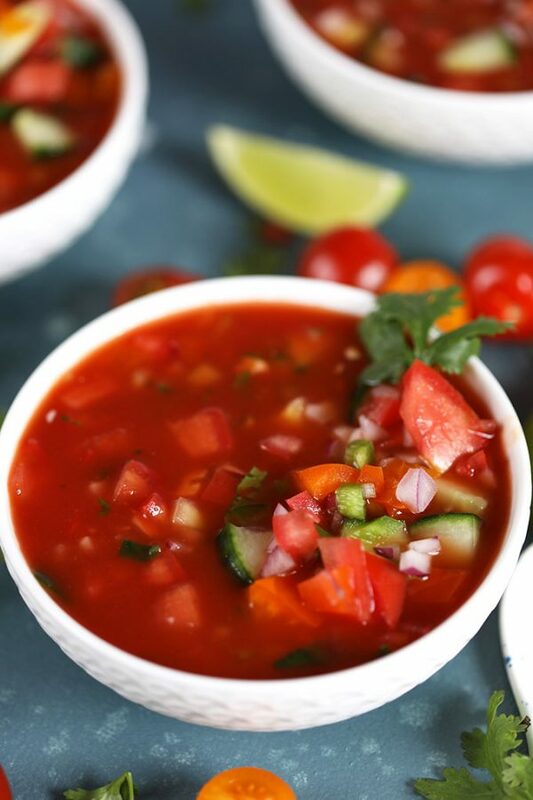 In a large bowl, toss together the cucumber, bell pepper, tomato, onion, jalapeño, garlic and cilantro. Add the lime juice, zest, apple cider vinegar, Worcestershire sauce and tomato juice to the bowl. Stir to combine.